In March 02013 George Dyson spoke for Long Now about the origins of the digital universe. Dyson, an author and science historian, gave a detailed explication of the dawn of the modern computer in the 1950s at Princeton’s Institute for Advanced Study (IAS). Twice a month we highlight a Seminar About Long-term Thinking (SALT) from our archives. SALT audio is free for everyone on our Seminar pages and via podcast. Long Now members can see all Seminar videos in HD. Video of the 12 most recent Seminars is also free for all to view. No Time Is There: The Digital Universe and Why Things Appear To Be Speeding Up is a recent SALT talk (for a little longer). It will be free for public viewing until late April 02014. Legends of science and mathematics like Alan Turing, Kurt Gödel, and John von Neumann feature prominently in these stories. Dyson’s remarkable historical reporting also includes first-hand observances of von Neumann’s workspace and insights gleaned from his interviews with participants at these events. His father, the theoretical physicist Freeman Dyson, went to work at IAS in 1953–the same year George was born. Much of the early digital work was closely intertwined with the post-WWII effort to engineer better bombs. In the few years they ran that machine, from 1951 to 1957, they worked on the most difficult problems of their time, five main problems that are on very different time scales—26 orders of magnitude in time—from the lifetime of a neutron in a bomb’s chain reaction measured in billionths of a second, to the behavior of shock waves on the scale of seconds, to weather prediction on a scale of days, to biological evolution on the scale of centuries, to the evolution of stars and galaxies over billions of years. And our lives, measured in days and years, is right in the middle of the scale of time. I still haven’t figured that out. 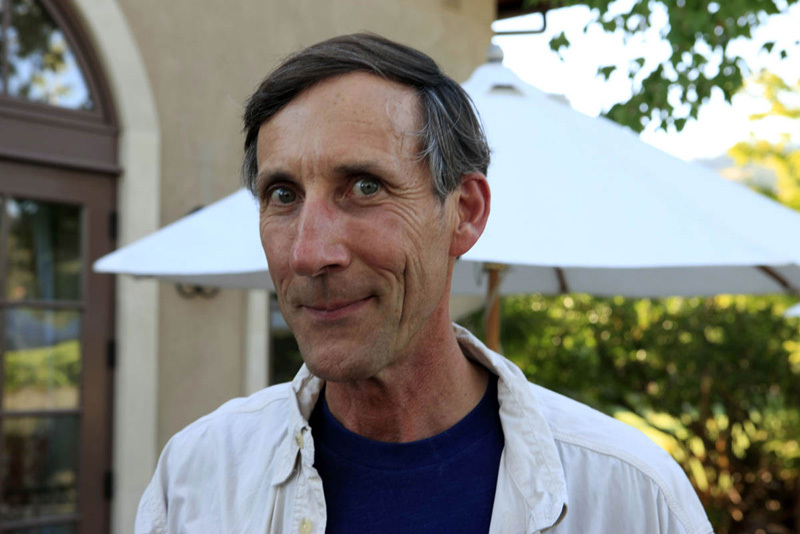 George Dyson is an author and science historian whose books include Baidarka the Kayak, Darwin Among the Machines, and Turing’s Cathedral: The Origins of the Digital Universe. This was the third time he spoke on the Long Now Seminar stage, including the 02005 SALT Talk presented with his sister Esther and their father Freeman Dyson. Everyone can watch full video of the last 12 Long Now Seminars. That includes this Seminar video until late April 02014. Long Now members can watch the full ten years of Seminars in HD. Membership levels start at $8/month and include lots of benefits. You can join Long Now here.